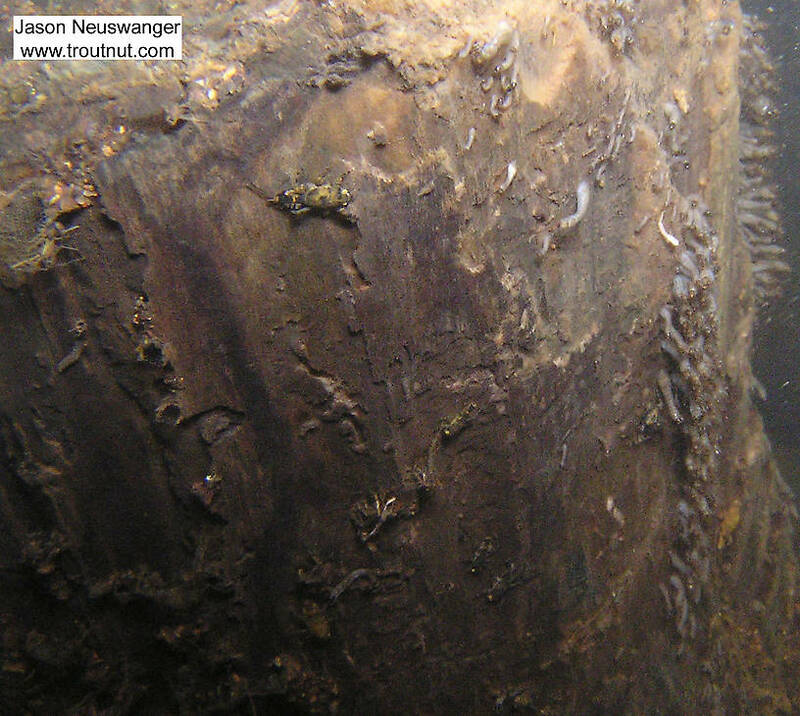 The behavior and habitat of Ephemerella subvaria. Studio pictures of 34 Ephemerella subvaria specimens. In this picture: Mayfly Species Ephemerella subvaria (Hendrickson) and Mayfly Species Ephemerella invaria (Sulphur Dun). 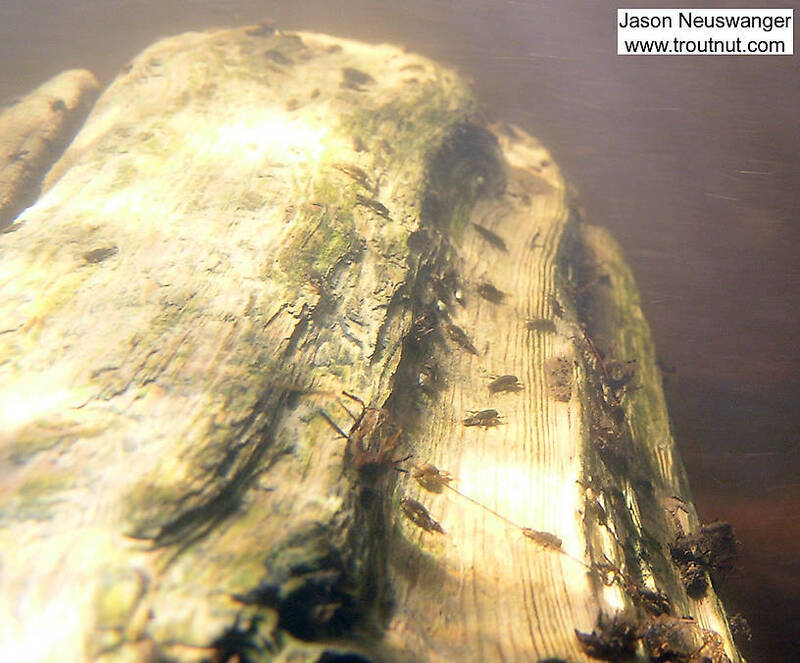 Some large Ephemerella mayfly nymphs cling to a log. 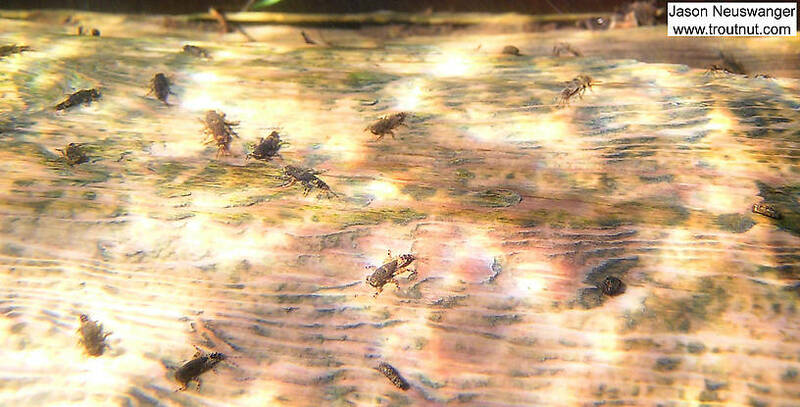 In the background, hundreds of Simuliidae black fly larvae swing in large clusters in the current. 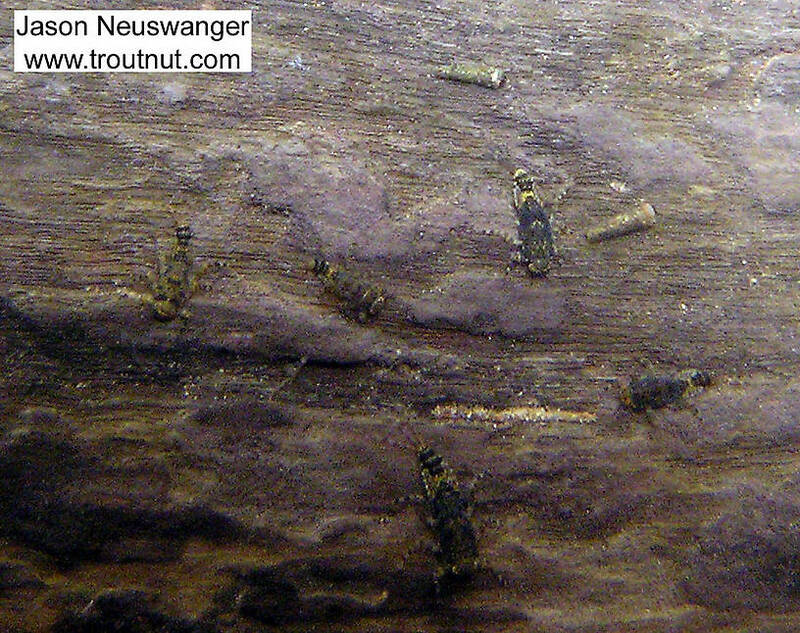 In this picture: Mayfly Species Ephemerella subvaria (Hendrickson), Mayfly Species Ephemerella invaria (Sulphur Dun), and True Fly Family Simuliidae (Black Flies). 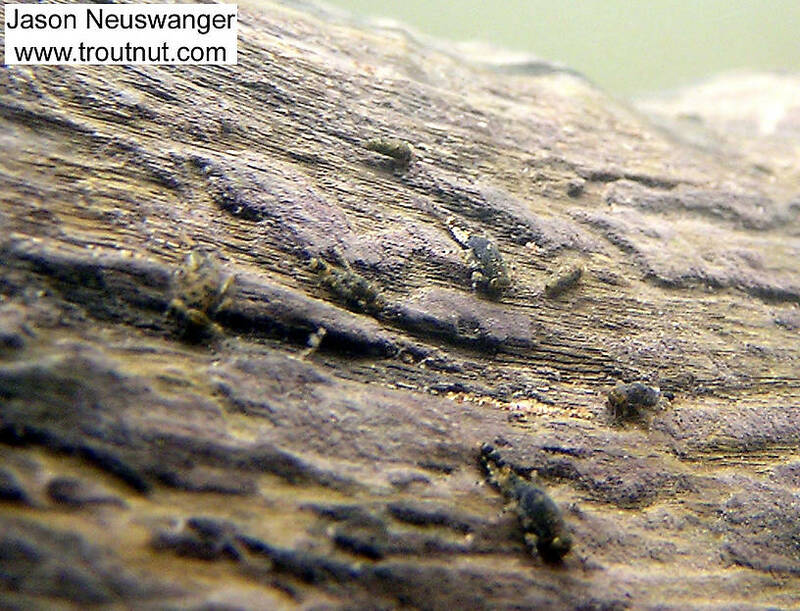 This Ephemerella subvaria (Hendrickson) nymph picture is one of my favorites. 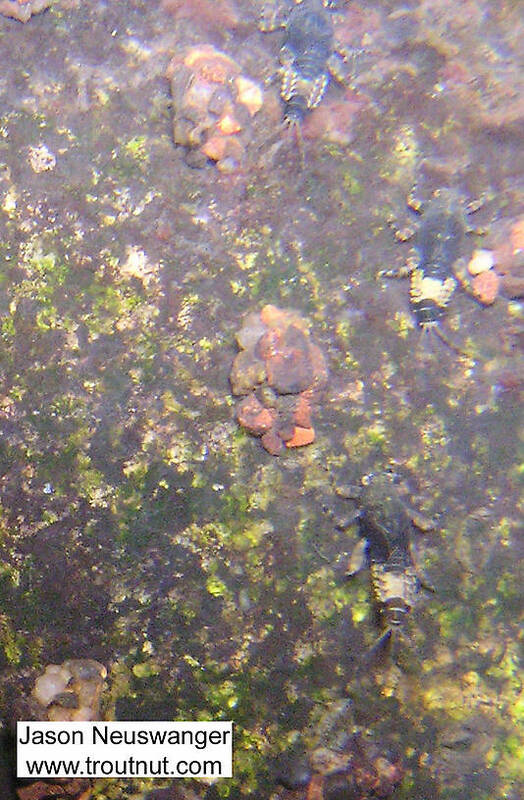 Three big Ephemerella subvaria mayfly nymphs share a rock with some cased caddis larvae. In this picture: Saddle-case Maker Genus Glossosoma (Little Brown Short-horned Sedges) and Mayfly Species Ephemerella subvaria (Hendrickson). 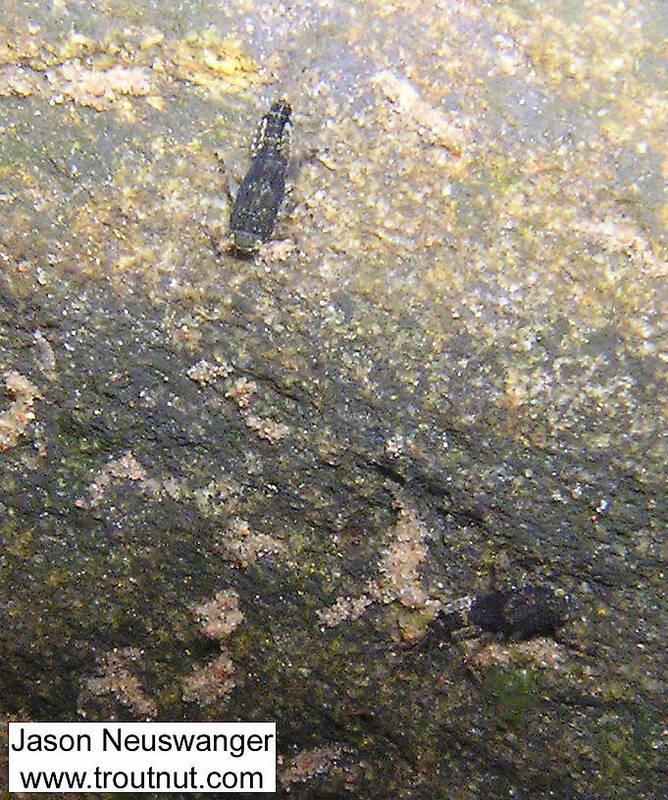 In this picture: Mayfly Species Ephemerella subvaria (Hendrickson), Insect Order Trichoptera (Caddisflies), and Mayfly Species Ephemerella invaria (Sulphur Dun).